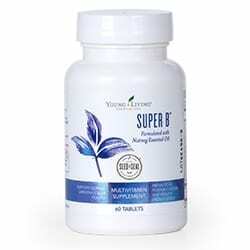 Super B Tablets are a comprehensive vitamin complex containing all eight essential, energy-boosting B vitamins (B1, B2, B3, B5, B6, B7, B9, and B12). Recently reformulated, it now Features Orgen-FA®*, a natural folate source derived from lemon peels, and methylcobalamin, a more bioavailable source of B12. Super B Tablets are a comprehensive vitamin complex containing all eight essential, energy-boosting B vitamins (B1, B2, B3, B5, B6, B7, B9, and B12). This vitamin features Orgen-FA®*, a natural folate source derived from lemon peels, and methylcobalamin, a more bio-available source of B12.